At Kids College we are building children’s brains every day though love. We focus oncreating responsive and meaningful interactions with each child that builds trusting relationships between us and our precious little people that helps us engage and support each child to feel secure, confident and included. Why do we prioritize these trusting relationships? These secure attachments we have literally grow children’s brains and allow them to reach their full potential. Did you know the first three years of a child’s life are the most important for building up the connections in their brains? This article discusses the three most important requirements for brain development in the early years, good food, good nurturing and good stimulation. 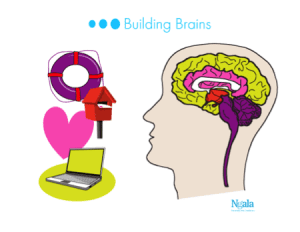 At Kids College we follow the advice of the building brains program.Building brains workshop sessions assists all of us to gain a better insight into the importance of play, and how nurturing and positive relationships strengthen brain connections in young children. The concept of attachment (attachment theory) is grounded in the work of John Bowlby. According to the theory, attachment is the deep and enduring emotional connection established between a child and carer in the first few years of life. The quality of this attachment impacts on an individual’s social functioning, well-being and competency and can influence every aspect of his/her life. Attachment theory therefore highlights the importance of children having the opportunity to experience and maintain positive relationships. We develop a ‘sense of self’ through our relationships with other people, and the immediate caregivers of children play the most important role in helping them develop a sense of themselves. How do these attachments affect brain development? Between conception and three years your child grows and develops faster that at any other stage in their lives. This is referred to as the critical period. 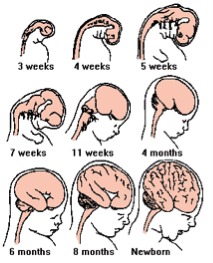 By the seventh month of pregnancy all the brains cells (neurons) are present, that’s over 100 billion brain cells. Just like a tree grows when given soil, water and sunshine, your child’s brain needs positive experiences to grow. Experiences wire the developing brain shaping the way people learn, think and behave for the rest of their lives. The brain cells, called neurons receive, store and transmit information. They are like tree branches with roots. The branches, called dendrites receive information, which is sent along the axon where it is passed along to the dendrites of other neurons. When these signals are sent they spark to create a connection or synapse literally building their brain piece by piece. 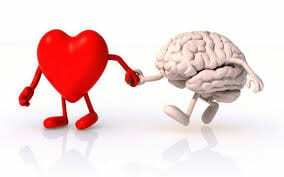 Like a human body needs exercise to grow muscles the brain cells need these synapseconnections. The more you exercise something the more it grows and conversely if you don’t exercise those muscles they weaken and disappear. This is referred to as pruning. Like roads the pathways used more grow and the pathways less used fade away. Think about it. Have you tried to learn a new skill as an adult, like another language or musical instrument? This is why it is so much harder to learn later on and how a learned skill. Whereas skills like driving used to be hard when you were first learning but now it becomes automatic, as your brain has built really strong connections. Like electrical cables the neurons have a protective coating called myelin. Myelin helps increase the thickness of the brain cell. These neurons are the building blocks of your brain. We never grow more but we do have control over how we build the ones we have got. Stimulation through our five senses (touch, taste, smell, sight, hearing) are doorways to stimulating the brain and making those all-important connections. Repetition makes the brain wiring stronger. These experiences are the key to unlocking your child’s brain potential. Next is the part of the brain known as the diencephalon, which develops mainly after birth and is a relay station (post box) sorting all the information coming into the brain and sending it the right part of the brain. This part of your brain uses hormones to send signals letting your body know what you need, like food, water or affection. Have you noticed how your child has different cries to let you know what they need? The limbic system develops after birth and is heavily dependent on the experiences your child has. (heart) This function allows your child to helps us attach an emotion to a thought or memory. Ever smell a delicious cooking smell that reminds you instantly of your own childhood and in an instant you are back in that moment from years ago? The cerebral cortex is the most highly developed part of the brain and is the control centre for complex brain thinking. (computer) This allows for the processing of sensory information, what you see, hear, touch, taste and see. This is the part of the brain that makes us spit out sour milk. more building blocks of protective factors we build, will make that child stronger and more resilient to life’s ups and downs. A well built insurance policy for your child’s future. We can’t control what life throws at us but we can build their brains to create strong pathways and connections increasing their ability to deal with anything that comes their way. Good food. At Kids College we provide our children with developmentally appropriate good nutrition. 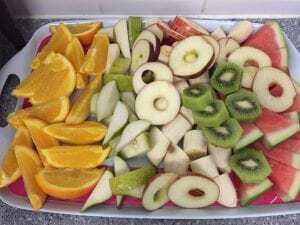 Advice on nutrition can be found in the ‘Get up and Grow’ resources from the Australian Government Department of health and Aging and The Kids healthy Eating plate. The goal of healthy eating guidelines is to promote offering healthy food choices to children while also encouraging children to eat to their own appetites, develop positive attitudes toward selecting food and enjoy eating. The goal of the physical activity recommendations is to support making play a priority, and encourage adults to provide frequent play opportunities in a positive environment. Good nurturing. Being soothed, held, nurtured and loved helps us learn to control our emotions, restore our balance, lower our stress hormones and enhance the development of connections between the brain cells. When children experience nurturing and respectful relationships with educators, they develop an understanding of themselves as competent, capable and respected. Consistent emotional support contributes to children developing a strong sense of wellbeing and belonging. Treated with love and respect leads that child to know they are loved and respected for the wonderful little person they are. What this means is that with each action we take to comfort, love, respect and respond to children we are building up those neural pathways and building trusting relationships. With this consistent emotional support we build attachment pathways and teach that child love and trust. Good Stimulation. We know that a child’s ability to communicate, solve problems and get along with other people is strongly influenced by early experiences and stimulation. Advanced thinking, memory, language and problem solving skills develop over many years and depend on the exercise the brain receives during the early years. When brain connections are strong your child can form good memories, develop problem-solving skills and increase learning skills. The everyday interactions in our educational program enhance these teachable moments and our educators are cognizant of opportunities for stimulation and the importance of building these pathways in the brain. We are taking genuine pleasure educating through our play-based program. Experiences linked with as many senses as possible create strong pathways. All of us remember the sights and sounds of our fondest memories of childhood. 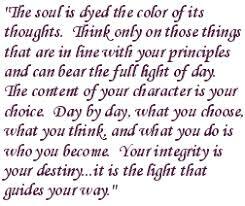 We are all living learning creatures and are influenced everyday by the people and experiences that come our way. If your child has passed their third birthday take heart in the fact that we learn though love at all ages of our lives. A kind word and a loving embrace will build older brains too. Just like it takes a while to build up muscle strength or endurance when we are older, we too can build our own neural pathways over time and with repetition. Challenge yourself to pay attention to the good things in your life, good food, good nurturing, and good stimulation. Know how they say you can only achieve a goal if you know what it is? Set yourself goals to build your brain and the loved ones around you. Have you smiled at someone today? The building brains program was supported by the Lotteries funding and ‘The Early years Strategy’, a West Australian Government plan to highlight the importance of the first three years of a child’s life. The importance of the early years of a child’s life, especially the first three years, where your child grows faster than any other stage of life are when most new connections are made. 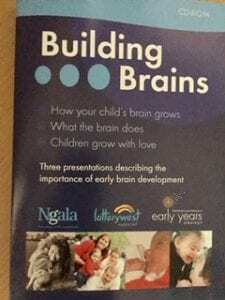 The aims of the Building brains program are to: provide summary of current early brain research, to give adults time to reflect upon their hopes and dreams for their children and to offer practical strategies that help parents build a positive future for their children. 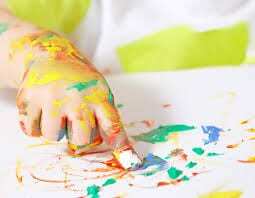 At Kids College Childcare we work each day embedding our values and philosophy into each facet of what we do. We continually improve our practices by critically reflecting and engaging in meaningful relationships with our community and for this we need your support and input. 5.1.1 Positive Educator to child interactions. Responsive and meaningful interactions build trusting relationships,which engage and support each child to feel secure, confident and included.